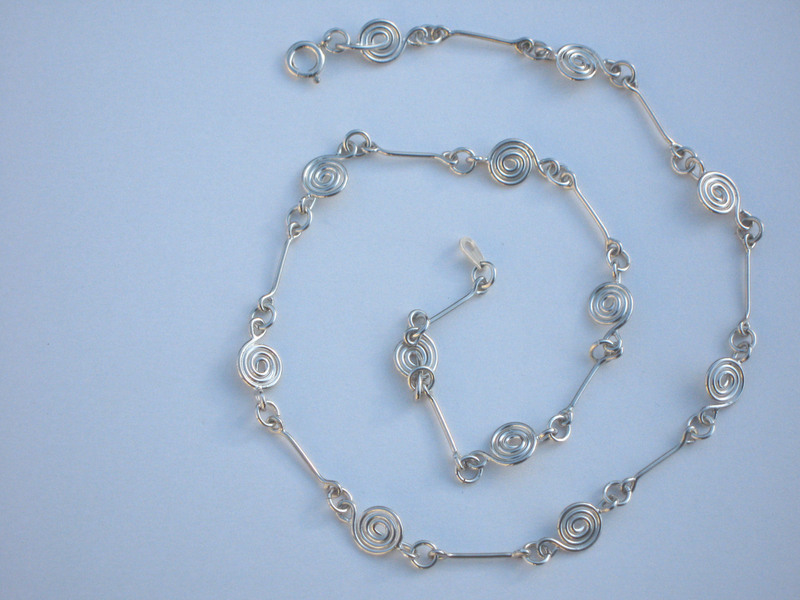 Silver necklace with handmade spirals and bars. 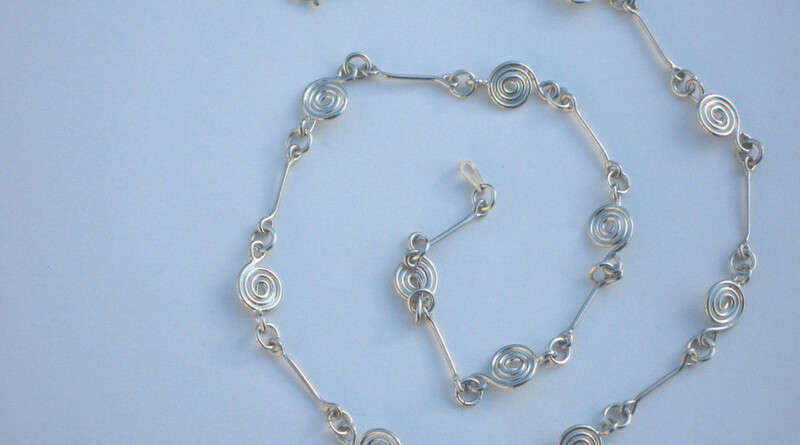 Standard 18 inches long with a silver bolt ring. This item is normally in stock, but please allow up to 21 days for delivery. The item could arrive much earlier.